A frog and a mom of two teenagers on "What Not to Wear" and "The Chew"
It’s the final season of The Learning Channel's (TLC) “What Not to Wear”, and me (Tania Lopez founder of Coqui the Chef) is being featured! Thanks to friends and family who nominated me, they felt it was time for me to no longer hide inside my mascot costume, and start representing myself as a smart, loving and beautiful entrepreneur. I received a complete makeover; hair, make-up and $5,000 worth of beautiful clothes that Stacy London and Clinton Kelly helped me select. 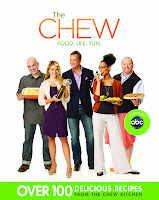 Colleagues like Ilene Bergelson from Lifemoves Health, my cousin Lisandra and my best friend Noel were approached by producers several weeks ago and have been trying to set me up for an ambush on my favorite show ABC’s “The Chew”. I was so surprised and filled with joy that I couldn’t stop crying. No one has ever given me anything so wonderful, I always had to work hard for everything. The last segment–the big reveal—was taped in April, and I look fantastic. 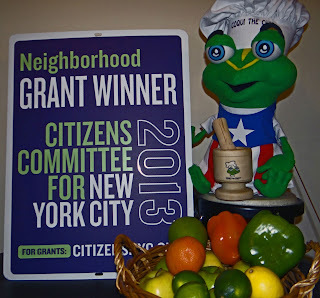 Coqui the Chef makes several guest appearances in both shows. 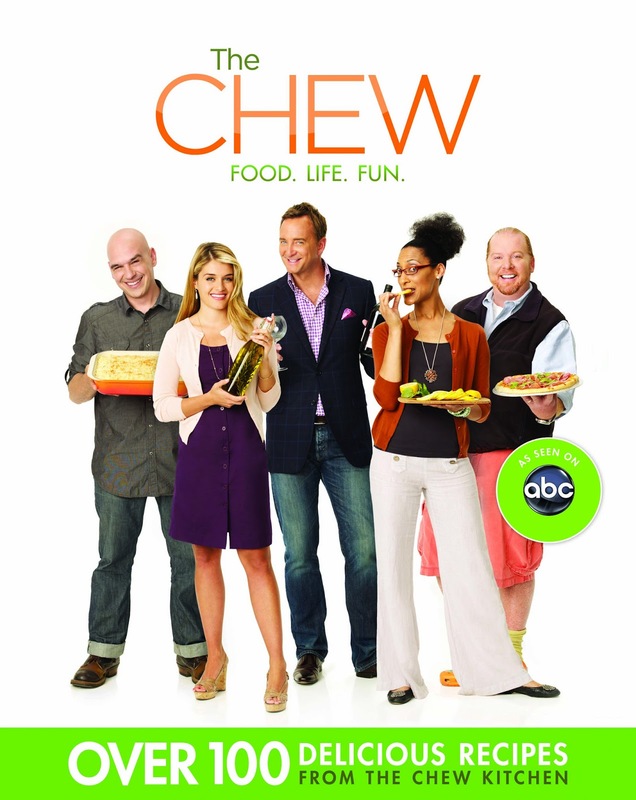 Stay tuned this summer to watch the ambush on ABC’s “The Chew” and the complete makeover on TLC’S “What Not to Wear”. I will let you know when you can catch the whole thing! 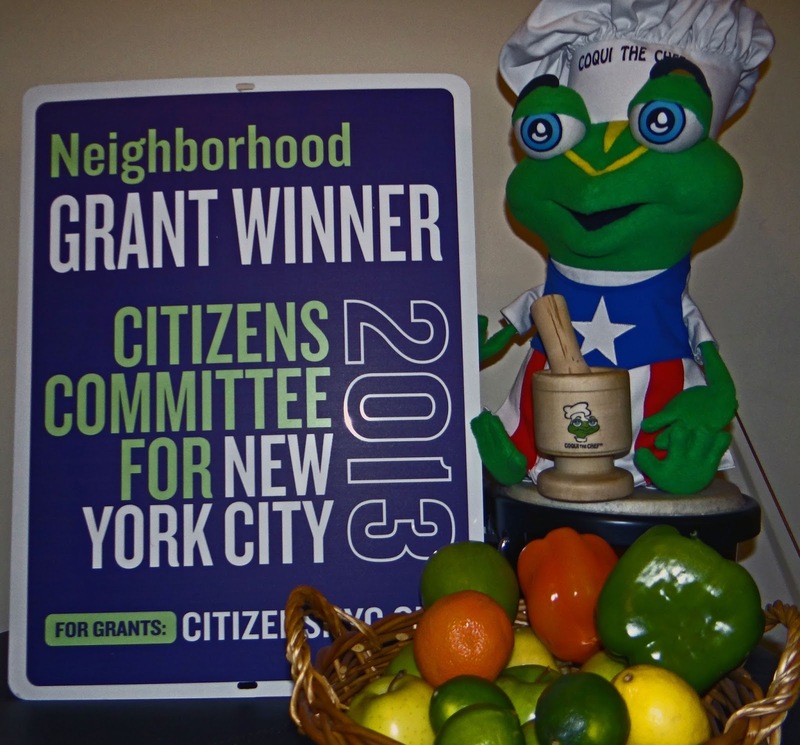 I am proud to announce Coqui the Chef partners with Healthy Neighborhoods City Harvest Program and is 2013 Neighborhood Grant Winner of Citizens Committee for New York City . We all share the mission to improve resources on low-income communities where healthy food is not readily accessible and where residents often suffer from high rates of diet-related diseases like diabetes and obesity. Last week we visit Freshmade NYC who offer classes for children ranging from toddlers to young teens in their beautiful studio kitchen. 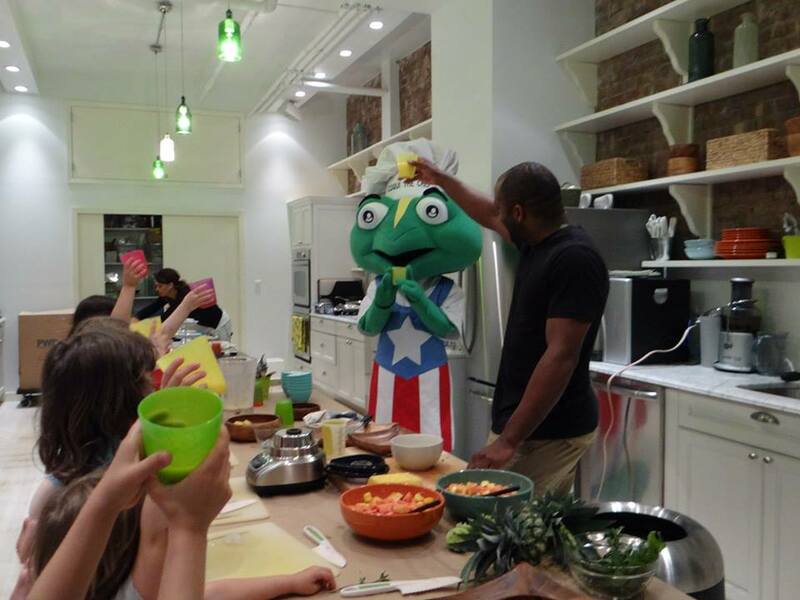 They invited Coqui the Chef for their 'round the world class where they teach about each culture and country as the kids taste its flavors. Together we made all natural piña colada of course without alcohol :) THE KIDS LOVED IT! 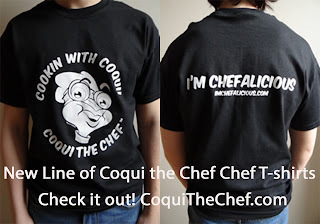 WIN COQUI THE CHEF'S NEW T'SHIRT! 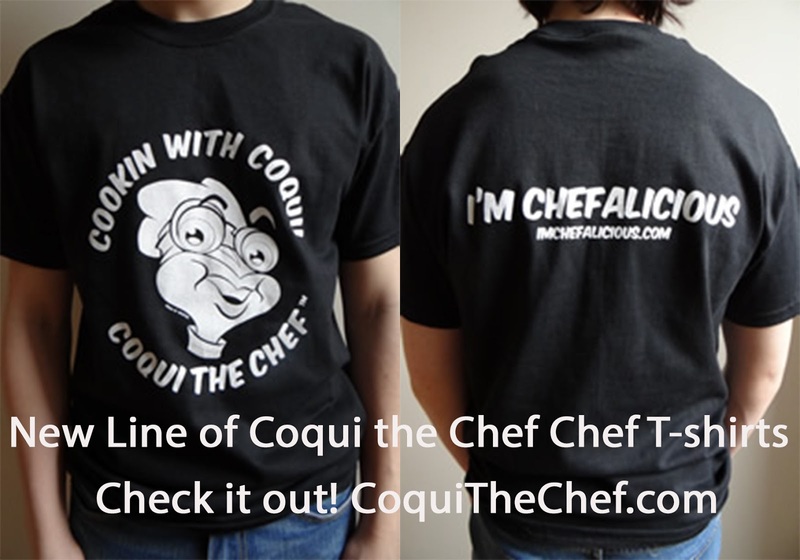 Enter to win Coqui the Chef NEW T’shirt!